On Target Ammunition’s products take the best in American manufacturing techniques and applies them in a unique way to the ammo business. American manufacturing is strong and capable, so we use the lessons learned in large scale manufacturing, and adopt those practices in the ammo loading business. This makes us unique in this business. As a result, On Target has grown from an idea, into a thriving reality with a complete manufacturing platform of state of the art Ammo Load machines. We can load millions of rounds a month in a variety of pistol and rifle calibers. Competitive shooters, law enforcement agencies and recreational shooters around the country use our ammunition. Many shooting ranges in the Midwest use On Target Ammunition exclusively as their range and training ammunition. 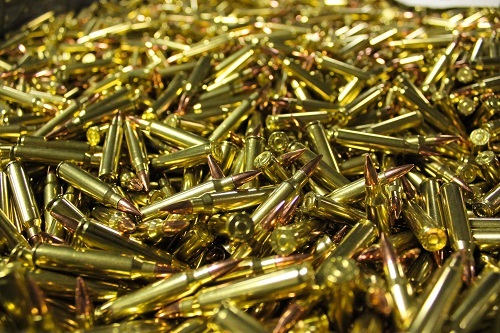 Below are the calibers we manufacture for rifle ammunition. If you need linked ammunition for a full-auto, we can provide belts in any of our rifle calibers. We use M13 links for .308 and M27 links for the .223 or .300 Blackout. Loaded with the same bullet the military uses in their M-855 ammunition. If you want M855 ammunition, but at a more affordable price, this is a perfect choice. Loaded to be equivalent to the M-80 round currently used by the US Military. This ammunition will function flawlessly in your AR-10, FAL or M1A. If you want to shoot M-80 but at a more affordable price, this is a great choice. This is a perfect load for those who need maximum accuracy at long range. The Hornady AMAX bullet is a proven performer and highly accurate. These work great in semi-autos or bolt guns. On Target developed this load especially for those ranges that cannot handle full power .223 ammunition. We use the Sinterfire frangible bullet. The bullet disintegrates on impact. This ammunition functions flawlessly in semi-autos or full-autos. Loaded with the highest quality components including Hornady bullets, CCI primers and Hodgdon powder, this ammunition will run reliably in your semi-auto or full-auto platform. We inventory these three loads in 300 Blackout for hunting or plinking. The 208gr AMAX is subsonic and will perform flawlessly in your semi-auto – with or without a suppressor. Our .45 ACP is loaded to “hardball” specs. This is the tried and true round and load that has been in use for over 100 years. The 9mm is the most popular handgun caliber in the world. We offer three different bullet weights to cover a wide range of needs. Our 147gr load is subsonic and incredibly quiet when used with a suppressor. All of our 9mm ammunition will run reliably in full auto sub-guns. We load both 165gr and 180gr loads in the .40 S&W to provide our customers with a load of their choice. Both loads will perform well so choose your favorite bullet weight. The .380 is very popular with those who want the smallest possible firearm for concealed carry. 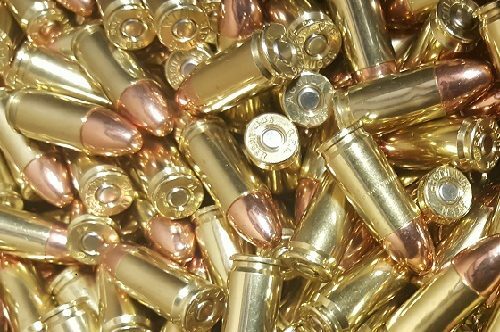 Our 100gr load functions flawlessly in any of the .380 platforms. For those who shoot revolvers, we offer our standard load with 125 gr bullets. The .38 Special is still very popular for CCW and for those who desire a more powerful load the .357 Magnum load will fit the bill.